I read this book on Safar Books Online using an iPad and the Safari Books Online App. 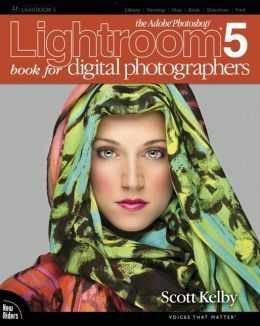 This is the 4th Scott Kelby Adobe Photoshop Lightroom for Photographers book I have read, and they all have been worth the time. These books have been where I have gotten most of my personal photography workflow from and why I made the switch from doing all of my post-production in Photoshop to doing it all in Lightroom. In fact I only open up Photoshop to do quick panoramas (I have other software I use for large intricate panos) and for extensive retouching or composites. I do not use stars at all, I have no reason to rate pictures on a scale. I use labels only to identify pictures that are part of panoramas or composites. I am a firm believer in using flags exclusively to identify the value of pictures. A picture is either “Rejected” and deleted forever, not flagged because it is an ok picture that I may need at some point in the future, or it is a “Pick” and I have big plans for it. I really love Lightroom and I think this book is one of the best ways to learn how to use it. I rate this book and its predecessors as a 9 out of 10. Posted in Books, Non-Fiction, Photography, Software. I have had my suspicions for a couple of years that Photoshop had been stripping out the EXIF data that I inserted into my images with Exifer, and now after a bit of testing I have discovered that Photoshop CS3 does indeed remove EXIF data when saving JPG files. Here is the workflow that I have been trying out lately. Publish to SmugMug, Facebook, Flickr, and/or my blog. Meta data in the form of EXIF and IPTC information makes it much easier to search for files years later and web sites like SmugMug will take the EXIF data and use them for descriptions, locations, and more on their web site. But I now have proof that during step 5 Photoshop is replacing the EXIF description with the IPTC description and if there is not an IPTC description then the EXIF description is now blank. If the IPTC Description and Author Name are filled out they will be copied to the EXIF fields when the file is saved in Photoshop. I originally thought that this issue also affected the geotagging location set using Microsoft Pro Photo Tools, but after testing it on a couple images that does not appear to be the case. EXIF data is very important to me and is used to search through thousands of files using web based and software based tools. I find it very disappointing that Photoshop would manipulate the EXIF data without the user explicitly requesting to make a change. From now on I will be adding both EXIF and IPTC data in Step 2. Posted in Photography, Software. Tagged exif, iptc. I learned about Microsoft Pro Photo Tools a couple of months ago when researching ways to geotag my photos. Version 1.0 of the software allows you to easily edit the EXIF and IPTC meta data of your JPG images. After using the tool for a couple of months I have reverted to using the tried-and-true Exifer to add copyright, contact, and descriptions to my images. I feel like Microsoft Pro Photo Tools does not make it clear exactly what it is I am editing, EXIF or IPTC. But what this software does excel at is geotagging. Under the Map Browse tab is an interface to Microsoft Virtual Earth that allows you to select one or more images and place them on the map which assigns latitude and longitude coordinates to the EXIF data. Very quick and easy compared to other tools I have tried on WindowsXP. The geo info tagged in the EXIF data allows services such as Picassa, SmugMug, Flickr, Panoramio, and many more to place your photos on maps for users to find them by browsing maps. I highly recommend checking out the new “More… Photos” option in a Google Maps search.